Now, it’s fair to say that Canada's a big place and you won’t be able to skip from one casino to another in a few quick steps. However, depending on where you are, you won’t be more than a few hours or so from an impressive venue. 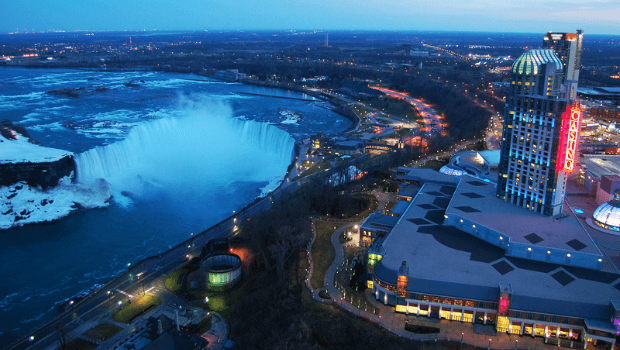 Offering something of a roadmap to Canada’s best casinos, this guide is your route to an enjoyable and potentially profitable betting journey across that land of maple leaves and Mounties! Once you've found the perfect match, check out our tips for visiting a casino in Canada! Part of the Caesars Entertainment franchise that made its name in Las Vegas, the company’s Windsor venue is basically a scaled down version of its Sin City relation. Aside from its physical appeal, this casino is popular with gamers on both sides of the US/Canada border because of its location. 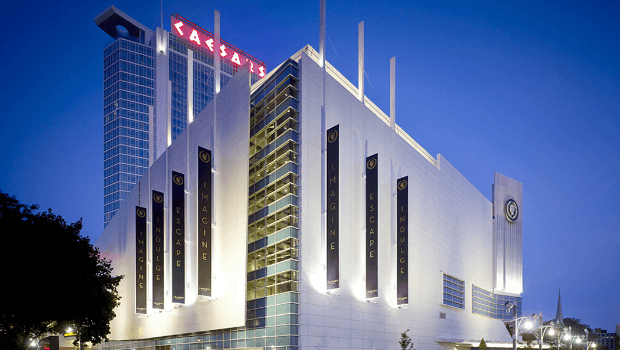 Situated just one mile from the Ambassador Bridge that separates Windsor, Ontario (Can), from Detroit, Michigan (USA), Caesars has an eclectic mix of patrons. The Colosseum showroom welcomes international artists including Mariah Carey and Styx, as well as shows such as Dancing with the Stars. On top of this, bars, clubs and lounges including Cosmos and Ariius mean you’re never far from a drink and some live entertainment. 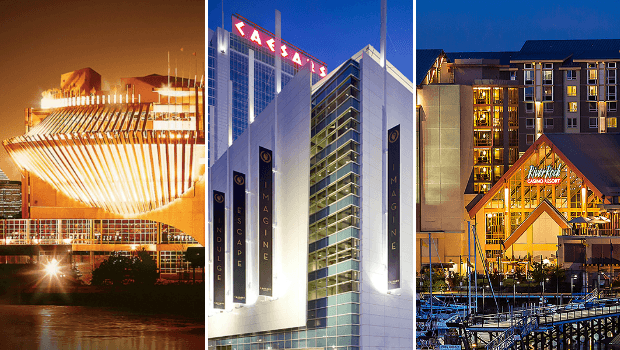 Of course, without a ton a betting options, Caesars Windsor can’t be called a top Canadian Casino. Fortunately, you’ll find over 100,000 square feet of gaming space featuring hundreds of slots and table games. Additionally, there’s a 14-table poker room and you can order free drinks directly from the slots. 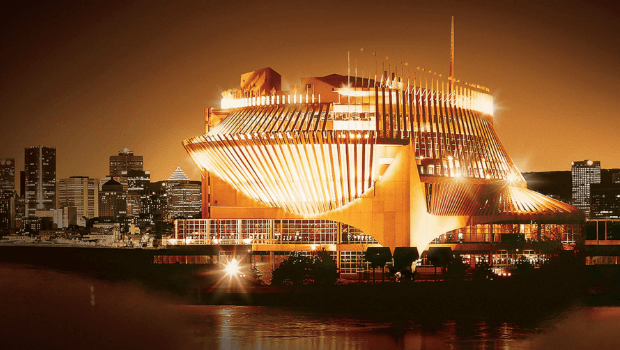 The largest casino in Canada, Casino de Montréal is comprised of three interconnected buildings and owned by the Société, which is a subsidiary of Loto-Quebec. Since it opened its doors on the Notre Dame Island in 1993, this venue has expanded and evolved to the point where it now features 526,488 square feet of gaming space. As well as casino staples such as blackjack, roulette and baccarat, you’ll find games such as casino war, craps and sic obo among the 115 gaming tables. On top of this, 3,200+ slots are spread across three floors, while the poker room has space for 18 tables on a daily basis. Beyond the action on the casino floor, the Casino Privileges Club allows regular visitors to earn comp points that can be used for freebies and discounts throughout the complex. Whether you fancy a gourmet meal in one of the venue’s four restaurants or you want to learn the basics of casino betting with The Zone’s interactive gaming machines, this place has something for everyone. Virtually dripping with spray from the famous waterfall, this venue is as much a tourist destination as it is a place to play. Because the casino has become something of a ‘must see’ place, you’ll find entertainment of all kinds when you visit. Whether it’s the Market Buffet or Lucky’s Steakhouse, you definitely won’t go hungry at Casino Niagara. Once you’ve filled your stomach with high-quality cuisine, Yuk Yuk’s comedy club is there to provide some serious belly laughs. Hosting the likes of Joe Rogan, Bryan Callen and more, this is a great place to let off some steam and forget any bad beatings you might have taken at one of the casino’s 12 poker tables. Of course, if you simply want to hit the gaming tables and play for a mega jackpot, a 26-screen sportsbook, 40+ gaming tables and more than 1,500 slots should be enough to satisfy your appetite. For an altogether more scenic experience, River Rock Casino is the place to go. 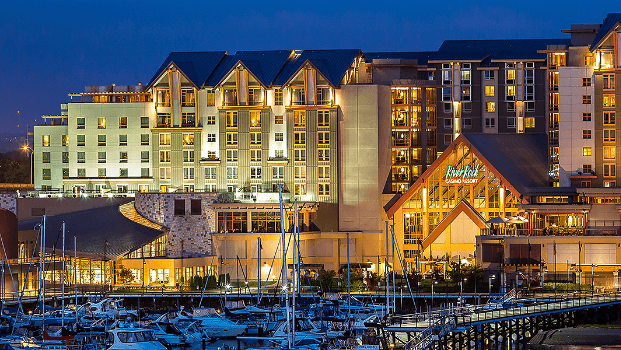 Perched on the banks of Fraser River, this casino offers a real contrast of sights, sounds and experiences. From the outside, the resort looks as though it could be nestled among the ski lodges of the Alps. Surrounded by natural beauty, River Rock could only be challenged by Casino Niagara when it comes to true travel destination casinos. Once you step inside and away from the tranquillity of nature, River Rock truly comes alive. 70,000 square feet of gaming space plays host to 114 tables and more than 1,100 slots. However, as impressive as this is, it’s the River Rock poker room that really stands out. As well as hosting local live tournaments, this plush poker room has welcomed international events such as the World Poker Tour (WPT). Basically, if you want to play in the same surroundings as the pros, River Rock Casino is a great place to put on your poker face. Although this is just a handful of places to play in Canada, they're four of the best venues you’ll find. If you check out our top-rated online casinos and then want to test your skills in a new setting, we’d suggest a trip to one of these suggested hot spots!